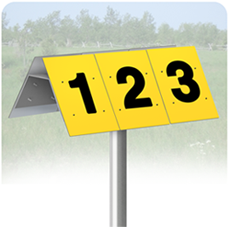 Our aerial markers are specially designed for locating and determining the direction of pipelines and underground cables. These systems can become damaged due to a wide variety of industrial activities or acts of nature. Century aerial markers maximize the visibility of pipelines and other transmission systems, increasing the speed and efficiency by which damage can be accurately located and repaired.